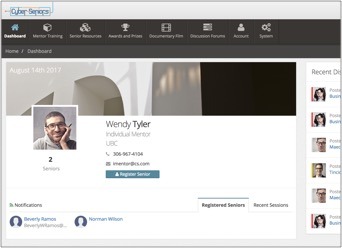 Senior Organization Membership - Cyber-Seniors : Connecting Generations Inc.
MENTOR TRAINING PROGRAM – A series of video lessons, quizzes, learning activities and discussion forums trains employees and volunteers to become effective Cyber-Seniors Mentors. Suitable for classroom or individual training. SENIOR RESOURCE AND TRAINING CENTER – This teaching platform provides Mentors with ideas and suggestions to make learning a fun, interactive experience for older adults. 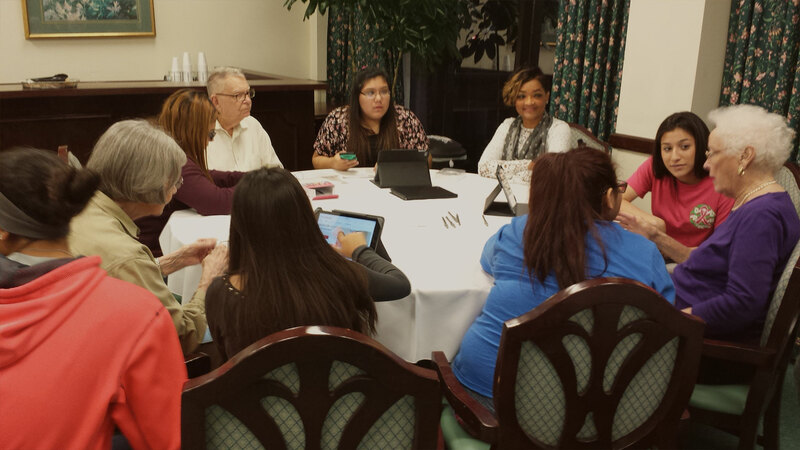 Mentors and Seniors work together to watch informative training videos, surf interesting websites and engage in entertaining activities. Training time is automatically logged by the system to monitor attendance and support program goals. ADMINISTRATION AND MANAGEMENT TOOLS – Activity coordinators and program managers are able to manage, measure and run reports on the impact of their Cyber-Seniors program to support program evaluation,accreditation, research and fundraising. CYBER-SENIORS DOCUMENTARY – This award-winning film is the inspiration behind Cyber-Seniors. Screening it in your community is a great way to kick-off your Cyber-Seniors program. Marketing resources and planning Guide are also provided to help you host a truly memorable event.